On Sunday, June 18, 2017, Popolo Catering had the pleasure and honor of providing food and service for Dan Fout’s daughters’ celebration! She graduated from Cal Poly, San Luis Obispo! 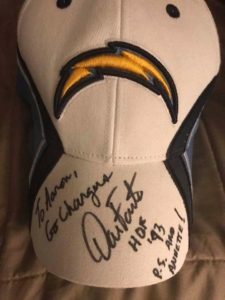 Popolo Chef Aaron Hernandez, long-time San Diego Chargers fan was thrilled to personally meet Dan and receive an autographed hat! 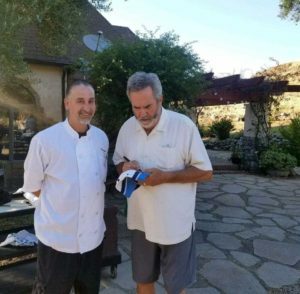 The family enjoyed a delicious menu of barbecued tri-tip, chicken, garlic mashed potatoes, raspberry salad and garlic-butter dipped french bread! 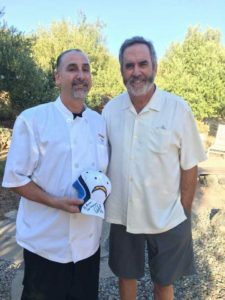 Thank you to the Fout family for choosing Popolo Catering!